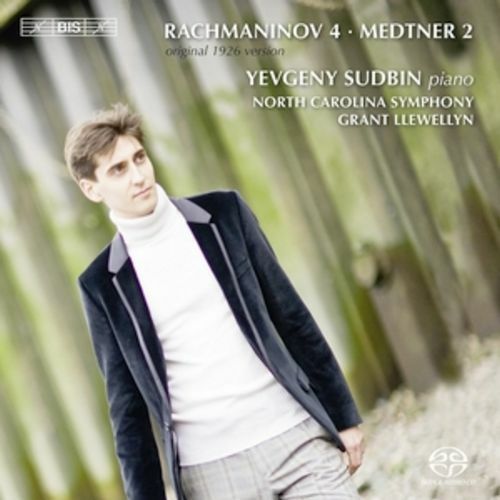 With his second concerto disc, Yevgeny Sudbin celebrates the close relationship between two great Russian composers: Sergei Rachmaninov and Nikolai Medtner. 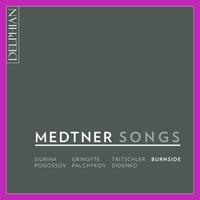 Medtner would encourage his more famous colleague during the latter’s recurring bouts of self-doubt, while Rachmaninov early on recognized Medtner’s unique gifts, pronouncing him the ‘greatest composer of our time’. 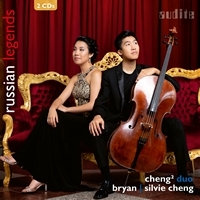 The most sincere testament to their friendship is embodied in these two concertos, which the composers dedicated to one another. 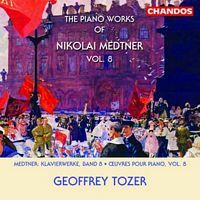 Both works were composed in the mid-1920s, with Medtner referring to works by Rachmaninov in his final movement and Rachmaninov worrying in letters to his fellow-composer about the length of his own concerto. 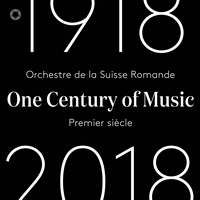 Rachmaninov’s concerto was first performed in 1926, but was panned by the critics – in part because of its duration – and the composer immediately began to make revisions and cuts. 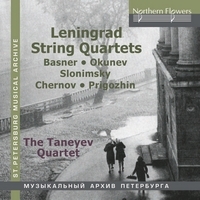 Never completely happy with the revised version, published in 1928, he made another attempt in 1941, cutting a tenth of the original work, mainly from the final movement. 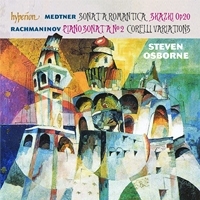 Having chosen to record the rarely heard original 1926 version, Yevgeny Sudbin makes an eloquent case for it in his own liner notes, calling it ‘a truly epic work’ with the addition ‘and much more insanely difficult than the revised version.’ In his advocacy for Medtner’s even more expansive and all but ignored Second Piano Concerto, Sudbin is equally forthright: ‘Why this concerto is not performed more often remains a mystery and is nothing short of scandalous: it offers everything a pianist, or a conductor, can wish for.’ An avowed Medtner champion, Sudbin has previously recorded the composer’s First Piano Concerto, combined with that of Tchaikovsky, on a disc which received a number of distinctions, including the nomination to a 2007 Gramophone Award. 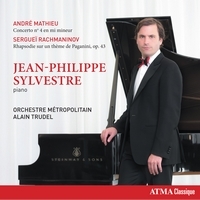 Reviewers described the release as ‘another step in Sudbin's inexorable progress to the forefront of his generation of pianists’ (Gramophone) and the soloist as ‘one of the most exceptional musicians of his generation’ (Le Monde de la Musique). 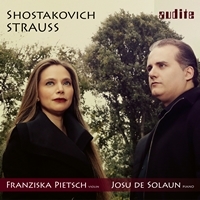 On the present disc Sudbin receives the expert support of North Carolina Symphony conducted by Grant Llewellyn.